The poisoning of a former Russian intelligence officer and his daughter in the English city of Salisbury can seriously affect Russia's relations with Great Britain and the European Union. We are going to talk about this with the permanent representative of Russia to the EU, Vladimir Chizhov. Euronews: So, on the territory of the European Union a nerve agent of Russian origin was used. 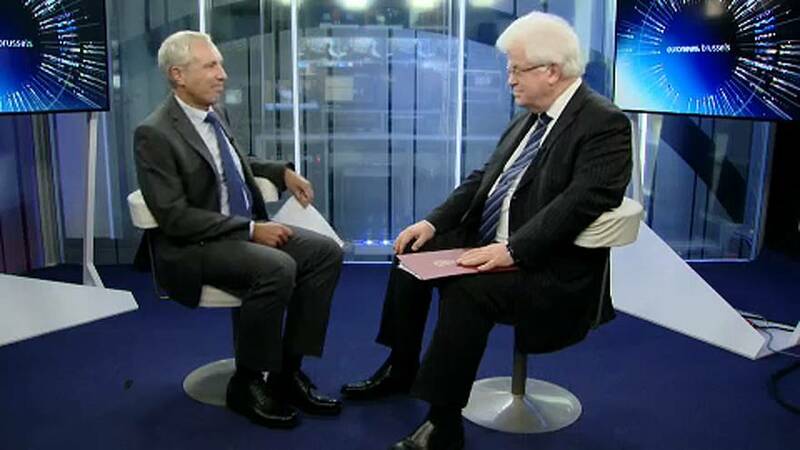 Chizhov: From what territory did this poison come - I am sorry - at the moment the Russian side does not have any objective data, despite the fact that Russia requested such data from the British side on the first day. Euronews: Let's not turn the table around. The poisoning did come from the Russian side. Britain had to react. In this case, a weapon of mass destruction was actually used on British territory. Euronews: But Scotland Yard provided evidence, and the court condemned the Russian citizen for participating in the attempt to kill Litvinenko. Chizhov: I remember this case well, it was not so long ago. Back then the investigation was first announced open. But as soon as Russia offered assistance in this investigation, everything was classified immediately. On what basis the British court made that decision, we do not know. Just as we do not know the outcome of the investigation into the more than strange death of Mr. Berezovsky, as well as Mr. Perepelichnyy, who went out for a morning jog and died unexpectedly. Most recently, under strange circumstances, one of Berezovsky's accomplices in that Aeroflot case, Mr. Glushkov, died. Also on British territory. That's what perhaps should be sorted out by British law enforcement. Euronews: Can one feel, in your words, some pressure on the UK as a country that will be leaving the European Union and is therefore weakening itself and weakening the European Union? Chizhov: I hope that the current situation will not make me a staunch supporter of a "hard Brexit". Any actions of an economic nature that will be undertaken by the British side during the "Brexit", can only be within the common position of the European Union. This also applies to those anti-Russian measures that British officials may have in their heads. Euronews: America could stand up for Britain, yet Secretary of State Rex Tillerson lost his jobt. He was tougher than other members of the U.S. administration on Russia, in relation to the Skripal case. Is it a relief for you, the departure of such a hawk? Chizhov: I am still convinced that he lost the post of secretary of state not because of this episode - I have no reason to expect a softer approach from his successor. Euronews: Back to the UK. The British government is preparing some kind of sanctions. Are you afraid of this? Chizhov: Russia is not afraid of anything. Regrets - yes. I regret the debate in the British Parliament, the official statements that were being made instead of sorting out this situation, instead of inviting Russia to the investigation. Chizhov: And even that Russia has meddled in the referendum on Brexit. Euronews: Yes, some people were suspecting that. And meddling in the Scottish referendum as well. Indirect accusations have been accumulating, which made the accusations easier in this particular case. Chizhov: ...and the landing of William the Conqueror in 1066 was also plotted by the Kremlin. Euronews: What can Russia do to prevent all that? Chizhov: For this, there is a very simple answer. It's cooperation in the fight against our common enemies - international terrorism and transnational crime. Euronews: Mr. Ambassador, thank you very much for the interview.